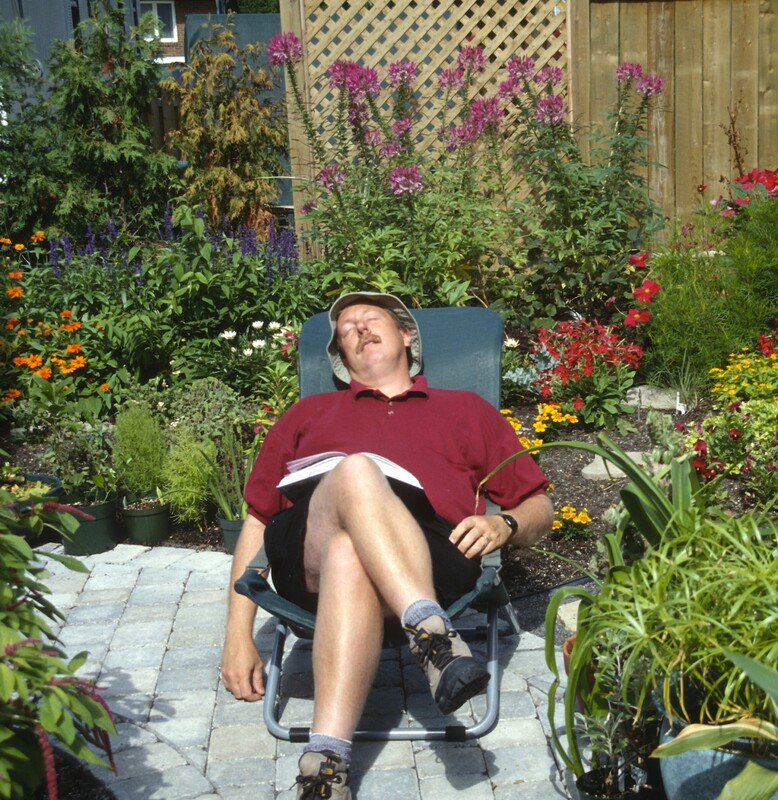 Gardeners in temperate climates are often in a major rush in spring. After a long period during which they did little more than twiddle their thumbs (winter), there are suddenly a lot of things to do all at once. Just think of it: vegetables to sow and plant, perennials to divide, a lawn to repair. It often seems like there just aren’t enough hours in a day to get everything done! The fall season, though, is much more relaxed. All the big jobs of the year are done. There is often only a little bit of cleanup left to do. And it can be the ideal season for planting. Is Fall Planting Even Possible? You can plant in the fall? Many gardeners will be stunned to learn that, but in fact, fall is, in most cases, as good a time to put in plants as spring. Indeed, it’s sometimes better! Of course, let’s point out one major exception. Fall is obviously not the season to put in frost-tender plants, like annuals, most vegetables and summer bulbs (dahlias, cannas, gladiolus, etc.). They’re already at the end of their growth cycle by fall. But it is an excellent season to plant more permanent varieties, like perennials, shrubs, trees, conifers, lawns and, of course, hardy bulbs. Depending on your local climate, the “fall planting period” may extend from late August until the end of November in the Northern Hemisphere or from February to June in the Southern Hemisphere. In some climates, it’s more than twice as long as the spring planting season! You can profit from fall plant sales. Nursery owners often sell their plants at a discount in the fall to attract customers to their shop at a quieter season … and also so they won’t have to protect container-grown plants over the harsh winter to come. You can often better judge the quality of a plant in the fall. In the spring, just about all plants are green and beautiful. But during the summer, varieties prone to diseases or insects begin to show damaged foliage. When you visit a garden center in the fall, you can easily distinguish the quality plants from the less interesting ones. Buying in the fall helps extend the blooming season in your garden. When you buy all your plants in the spring, you tend to bring home the most attractive ones, the ones that are in bloom early in the season. As a result, your garden will look mournfully bloom free in the fall. When you shop for plants in the fall, however, you often discover interesting but lesser-known fall-flowering plants that will extend your blooming season. Many plants respond better to fall planting. In spring, the roots of freshly planted plants end up in soil that is still cold, hampering their initial development. This stage is often quickly followed by warm temperatures that stimulate the growth of leaves and flowers over roots. Then along comes summer with its heat and drought, a period that is simply not conducive to root growth. As a result, many plants planted in the spring are unable to establish themselves properly and are subject to prolonged stress during their first season in the garden. By fall, however, the conditions are reversed: the soil is still relatively—but not excessively—warm, rain is generally more abundant and even if not and you need to water, evaporation is considerably reduced. This balanced combination of moderate warmth and even moisture promotes root growth, growth that continues until late in the season, often long after the above-ground parts of the plant have begun their dormancy.You won’t notice a burst of growth from fall plantings: most plants just sort of sit there! However, they are growing, out of sight, under the ground. How Late in the Fall Can You Plant? That’s a tough one to answer, as it depends on a whole host of factors. However, it would normally make sense to stop about 6 weeks before the first hard frost* is expected, as that will give the roots time to settle in before winter. Another possibility is to check the soil’s temperature (and yes, there is such a thing as a soil thermometer! ): when it drops below 48 ° F (9 ° C), many plants simply stop producing new roots. *Hard frost: prolonged temperatures below 25 degrees Fahrenheit (-4°C) so that the soil starts to freeze. On the other hand, if you know that you are going to be planting very late, simply cover the soil with 6 inches (15 cm) mulch (shredded leaves, compost, ornamental mulch, etc.) earlier in the fall: this will keep the soil warm much longer, a situation favorable to late planting. In gardening circles, you often hear that it’s best to plant or divide spring-flowering plants in the fall and fall-blooming ones in the spring. And that belief certainly has some merit! If you plant a subject that is in bud or in bloom in the fall, it may not settle in well. That’s because, while it’s in the process of blooming, it puts most of its energy into that and very little goes into root development. Thus, it will be less well-established than it should be when winter arrives and can therefore be subject to winter damage. There is, however, an easy solution to this: remove the blooms! While it may seem heartless to cut off great fall flowers (you could make a wonderful bouquet, though! ), it’s nonetheless better for a flowering plant if you cut it back by half at planting time. Thus, it will put its energy into forming strong roots and therefore adapts more readily to its new environment. Among plants that may well need a good shearing at fall planting are garden mums (Chrysanthemum x grandiflorum), Japanese anemones (Anemone x hybrida and others), asters (Aster spp.) and peegee hydrangeas (Hydrangea paniculata). Fall is also good for starting or repairing a lawn. Lawn grasses root best in the fall and the chances of good implantation are excellent. Cooler air reduces evaporation and stimulates root growth over leaf development. Lawn seed and sod will still grow sufficiently above ground to look good, but will reserve their most vigorous top growth for the following spring. Instead, they grow roots; in fact, quite extensive root systems. Thanks to their now deeply penetrating roots, fall-started lawns not only survive the winter, but most even do better during dry spells the following summer! Obviously, fall is the season for planting spring-flowering bulbs: tulips, daffodils, crocuses, hyacinths, etc. Just about every gardener knows that. Plant them at a depth equal to three times their height and at a spacing equal to three times their diameter, flat side down, in a sunny or lightly shaded location in well-drained soil. —You can plant hardy conifers in the fall, but think twice about broadleaf evergreens like boxwoods (Buxus spp. ), hollies (Ilex spp.) and rhododendrons (Rhododendron spp.). They tend to be slower to root than deciduous shrubs, plus they lose more moisture to evaporation over the winter due to the presence of their broad leaf surface. That’s why they need a truly substantial root system, something they might not have time to develop in the few short months of fall. Planting them in the spring will give them a maximum chance of settling in correctly before having to face winter. Fall planting is more than just a last-ditch alternative for procrastinating gardeners. It is, in fact, often the ideal way to ensure the well-being of many plants. Here’s a rapid summary of how to plant perennials, shrubs, conifers, trees, climbers, etc. in the fall. Dig a hole as deep as the root ball and three times as wide. Amend the soil with compost if you feel it needs it. If there are roots wrapped tightly around the root ball, gently detach them and direct them outward. Place the plant in the center of the hole, then add one or two pinches of mycorrhizal fungi to ensure a better recovery. Fill in the hole with soil, then gently tamp down and water thoroughly. Apply a layer of 2 to 4 inches (5 to 10 cm) of mulch, such as compost, shredded leaves or ornamental mulch. Mulch helps preserve soil warmth, prolonging rooting time in the fall, then continues to be useful by preventing frost heaving during the winter. Water well and don’t hesitate to repeat if there is no rain. Ideally, new plants should profit from even soil moisture (although never to the point where they are sitting in water!) until the very end of the growing season. Go ahead: visit a garden center today. In fact, bring a trailer! With all the great deals you’ll discover there, you may well need it!